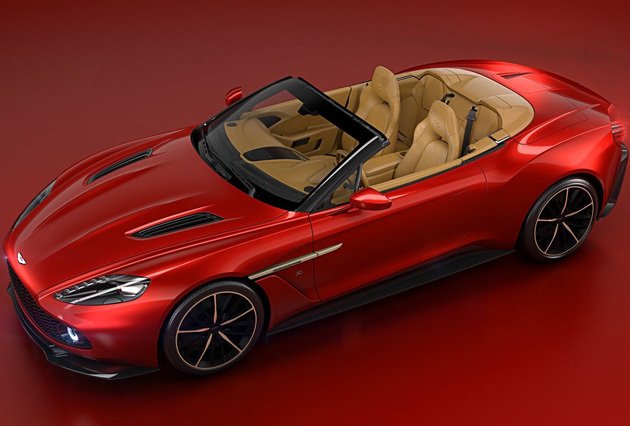 To accompany the North American debut of the Vanquish Zagato Coupe at the 2016 Pebble Beach Concours d’Elegance, Aston Martin is proud to announce a striking partner for this very special car: the Aston Martin Vanquish Zagato Volante. 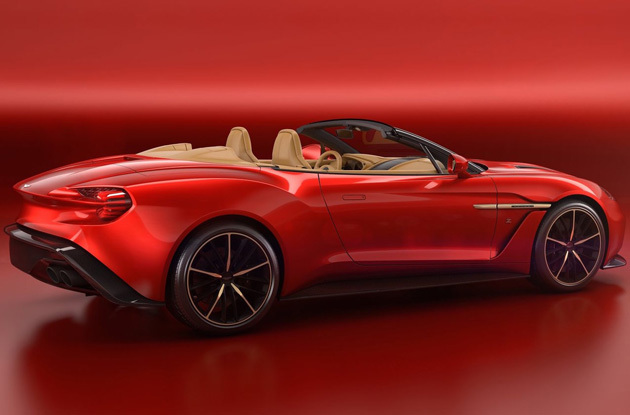 Driven by overwhelming customer interest for the previously revealed Coupe, the Vanquish Zagato Volante will be strictly built to a limited production run of 99 cars at Aston Martin’s headquarters in Gaydon, England. Aston Martin Vanquish Zagato Volante is the latest creation from a collaboration that reaches back over nearly six decades, beginning with the beautifully muscular DB4 GT Zagato race car of 1960 and includes the DB7 Vantage Zagato of 2002, 2011’s V12 Vantage Zagato and the most recent Vanquish Zagato Coupe announced earlier this year. 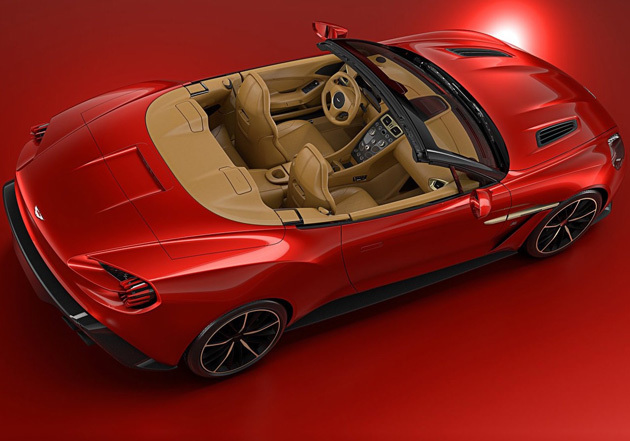 The Aston Martin Vanquish Zagato Volante will be a powerful addition to the Aston Martin and Zagato lineage, embodying Aston Martin’s inherent refinement and capabilities, as well as Zagato’s characteristic design details. 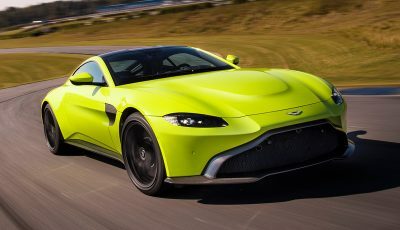 Both cars share an enhanced version of Aston Martin’s iconic V12 powertrain, increasing its output to 592bhp with a projected 0-60mph time of 3.7 seconds. 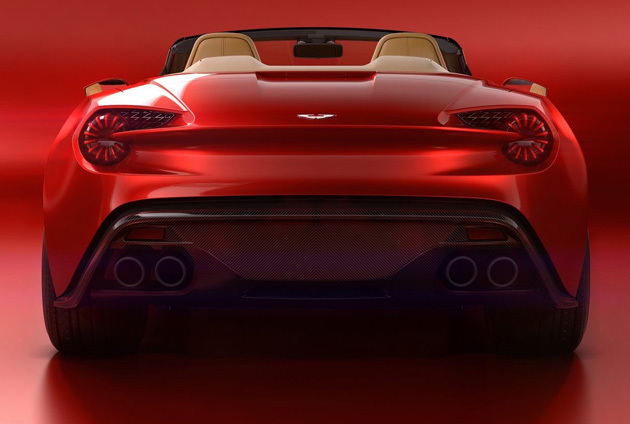 Inside, the Aston Martin Vanquish Zagato Volante continues the fine tradition of Aston Martin craftsmanship. 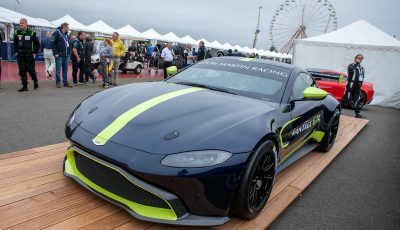 Aston Martin’s specialist ‘Q’ division can add further personalisation and enhancement to a cabin finished with rich and highly luxurious materials, including herringbone carbon-fibre, anodized bronze detailing and the finest Bridge of Weir leather. 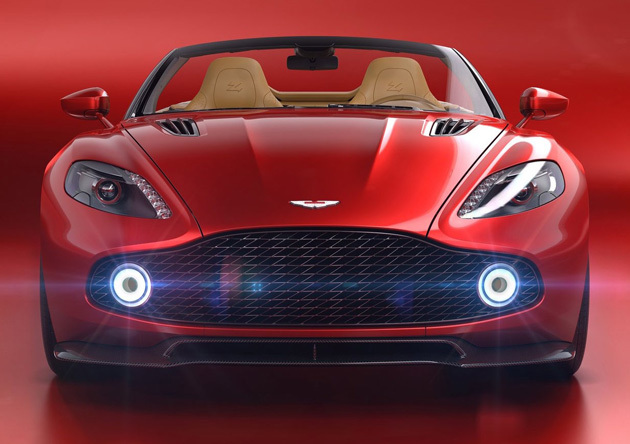 The Volante features the unique signature ‘Z’ quilt pattern stitch on both seat and door sections, as well as the celebrated trademark Zagato ‘Z’ embossed on the headrests and stitched into the centre console. 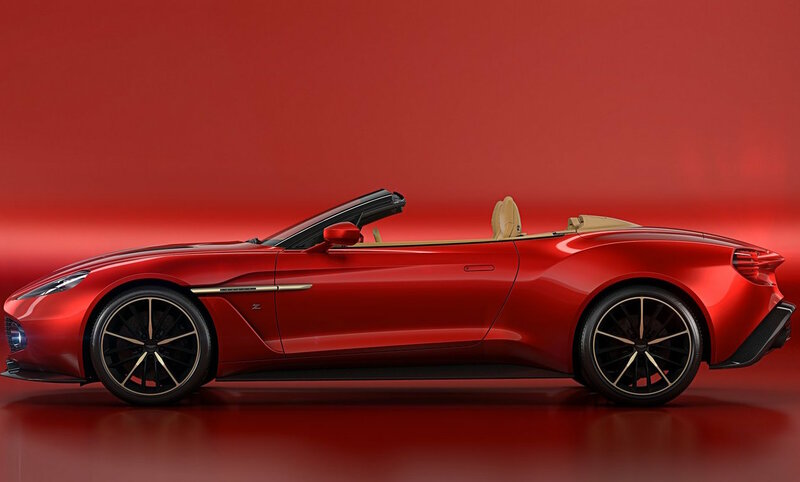 “The Vanquish Zagato Volante illustrates the ways in which Aston Martin design can evolve in collaboration with such a trusted and long-standing partner,’ says Reichman. 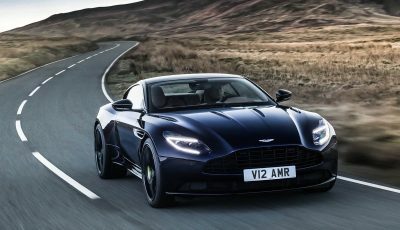 “Vanquish Zagato Volante continues Aston Martin’s new century of innovation and creativity, strengthening the association between these great automotive marques in the process”.